On Folly Bridge, you are in walking distance of most of Oxford’s pleasures. For those who like to linger over their food and drink, try the Folly Restaurant for elegant riverside chic or the Head of the River for a classic Oxford pub. Both are only a short stagger home to bed. Almost all Oxford’s other restaurants, cafés and pubs are within walking distance. For those who prefer natural life to night life, the famous River Thames Path runs past our front door, giving beautiful walks downstream past the university boat houses and their rowing teams practicing in the early morning, to the ancient village of Iffley. Or upstream to Port Meadow, the ruined Priory at Godstow and the famous Trout and Perch Inn. The boat hire and punt station is across the river for those who prefer more traditional Oxford pastimes. The Folly offers jaunts upstream in their Edwardian river launch. Christchurch Meadows and the Botanical Gardens (Britain’s oldest botannical gardens) are on the other side of Folly Bridge. And if you walk south through Grandpont Nature Reserve, you will arrive in 10 minutes at Hinksey Park, with its ornamental lake, children’s playground and huge and heated outdoor swimming pool. 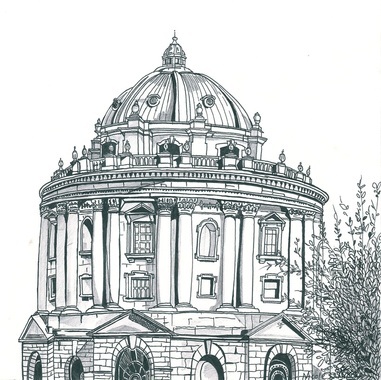 It will take you 10 to 15 minutes to walk to the Sheldonian Theatre and the Playhouse. The Ashmolean Museum and Modern Art Oxford are on the way.